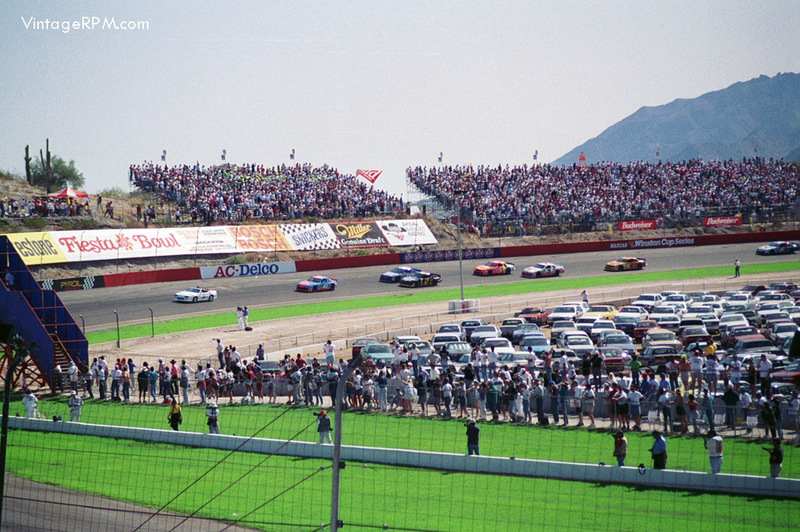 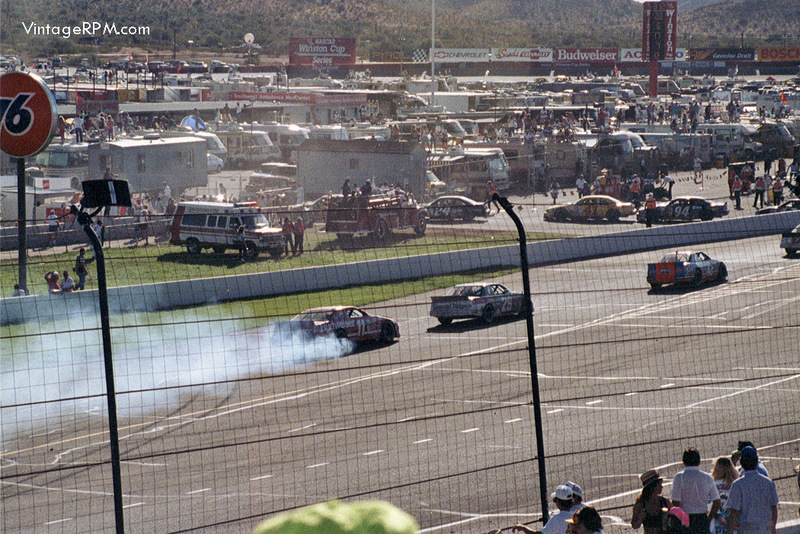 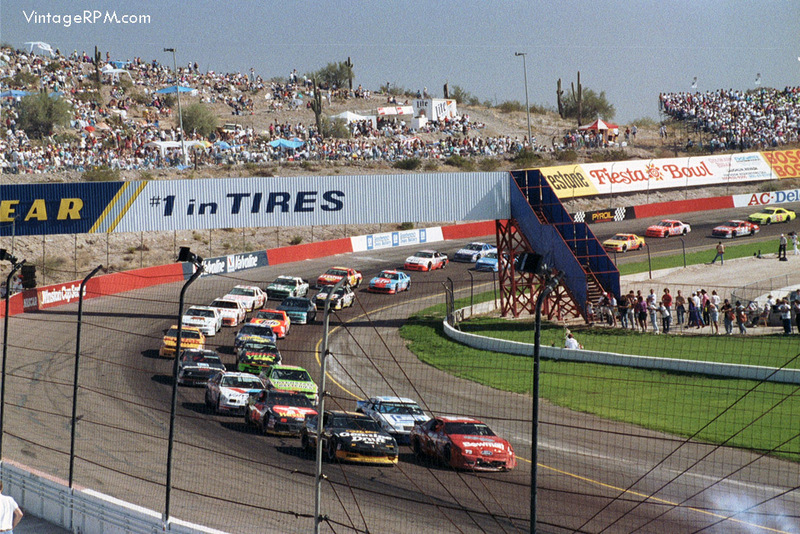 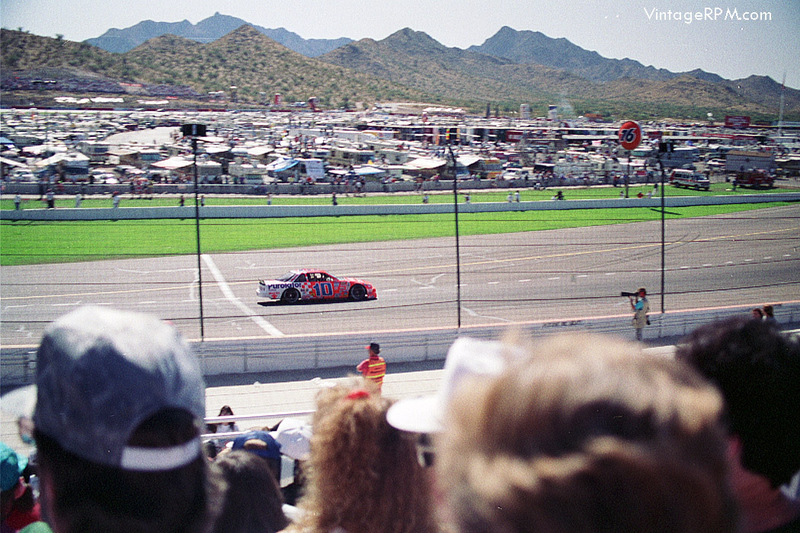 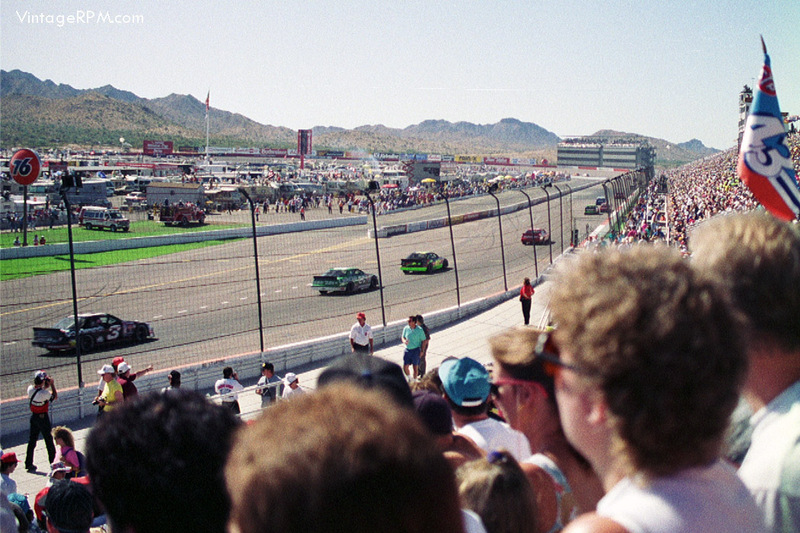 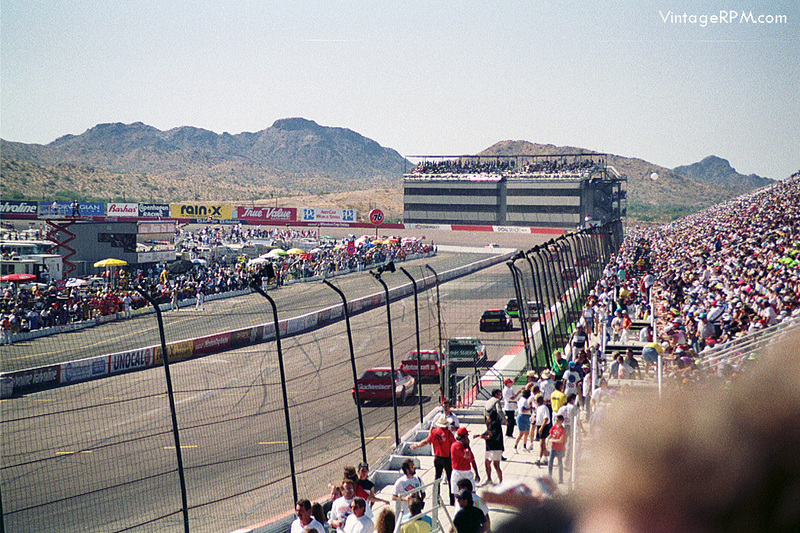 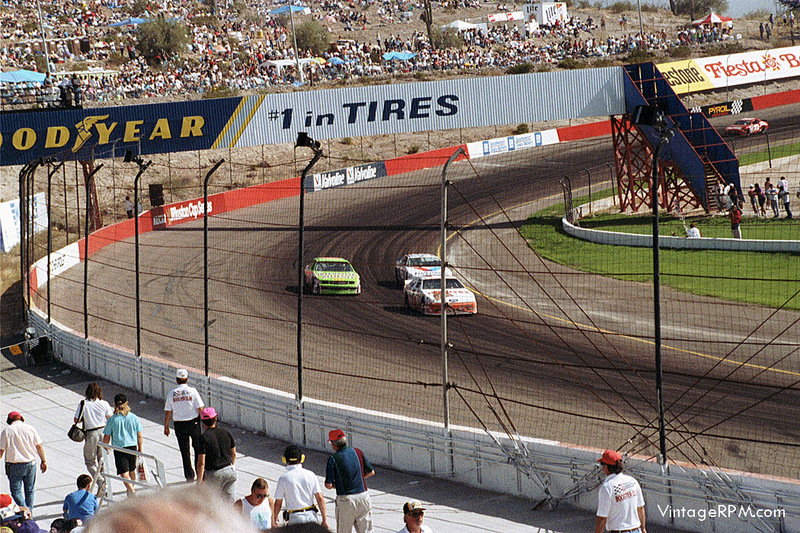 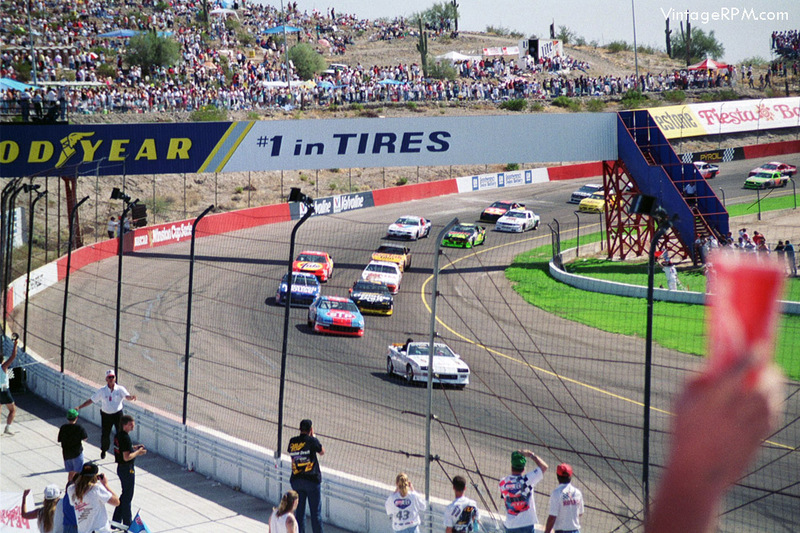 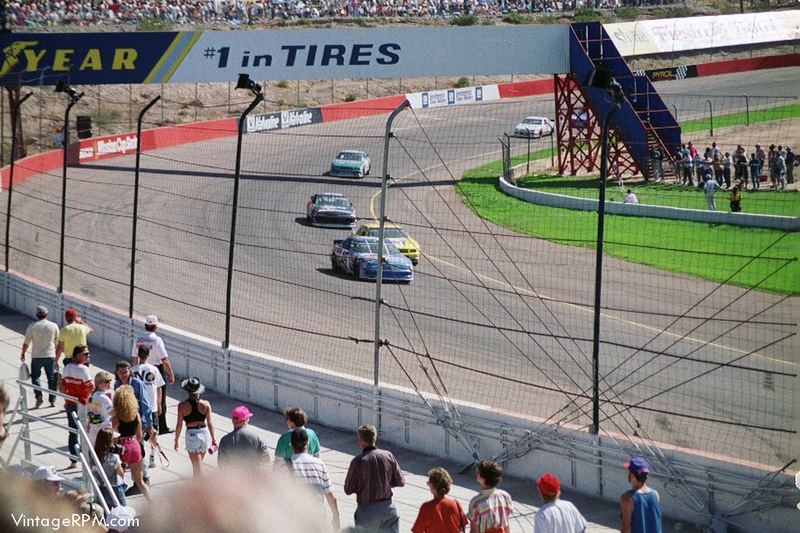 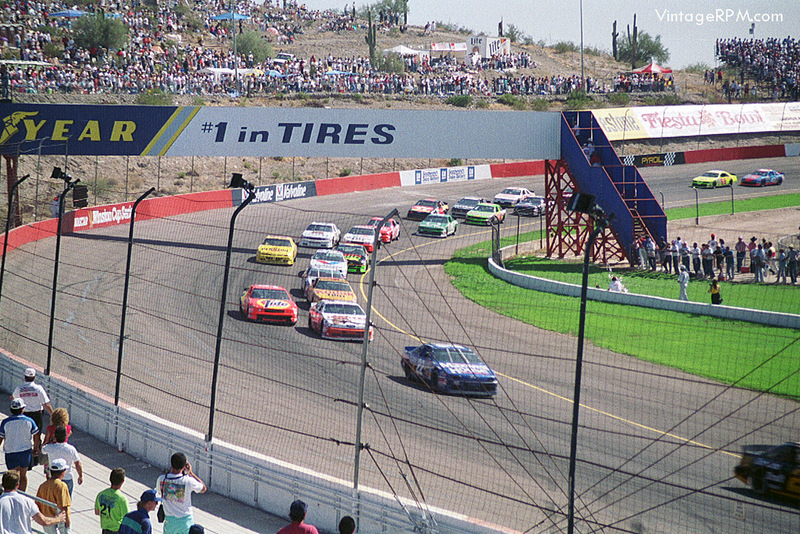 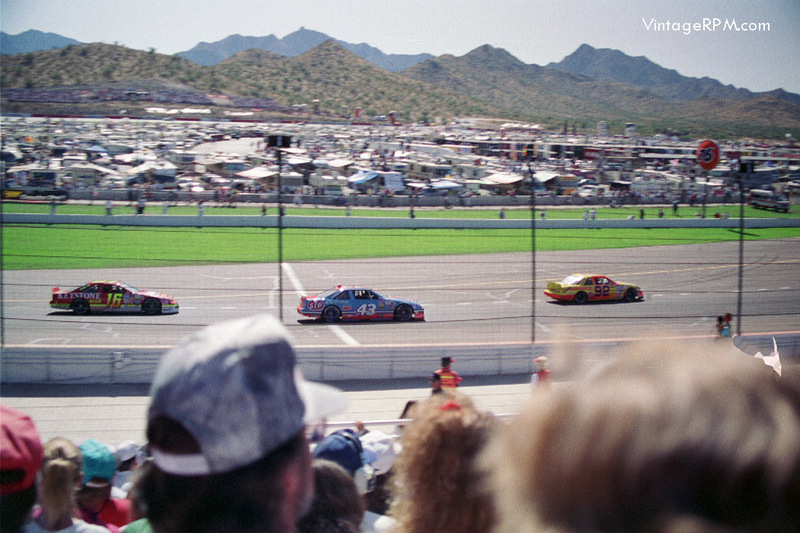 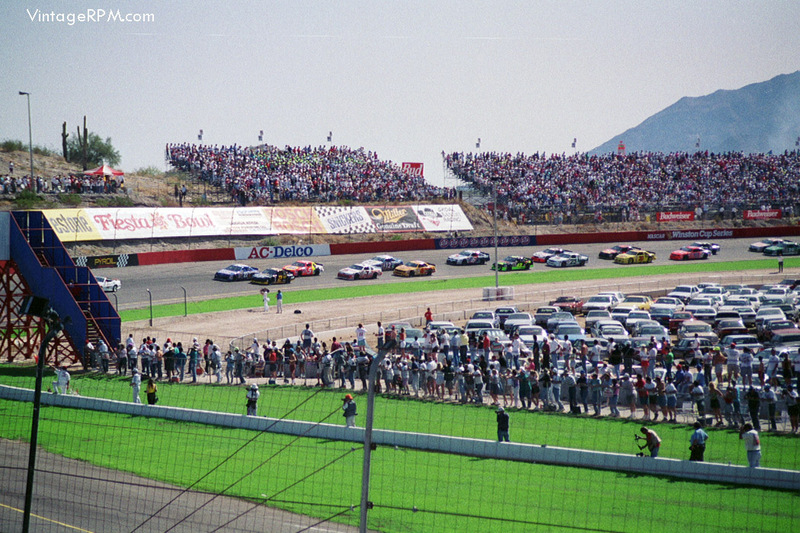 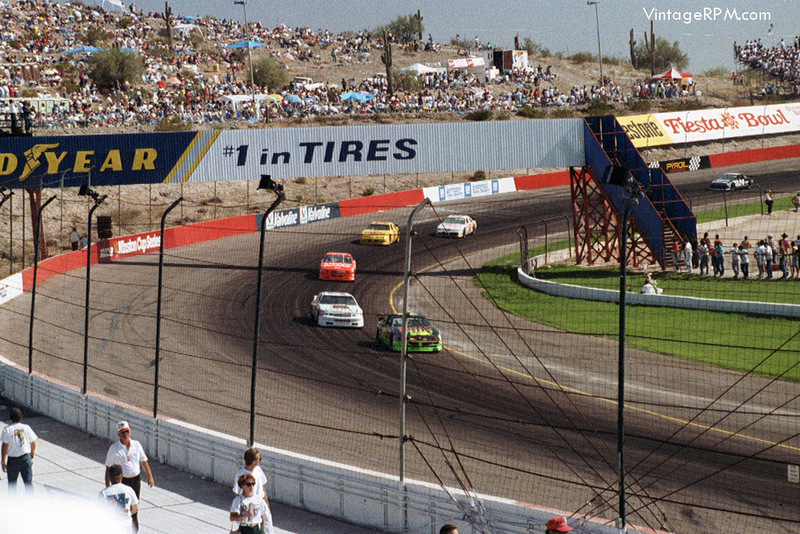 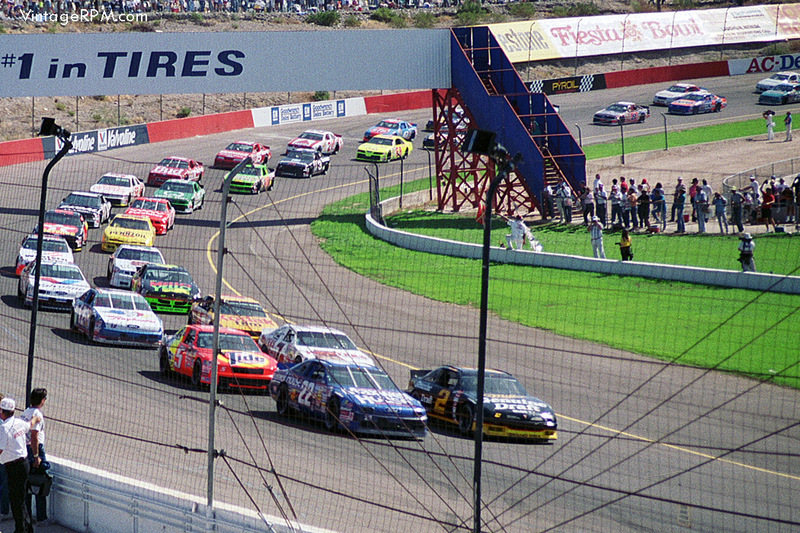 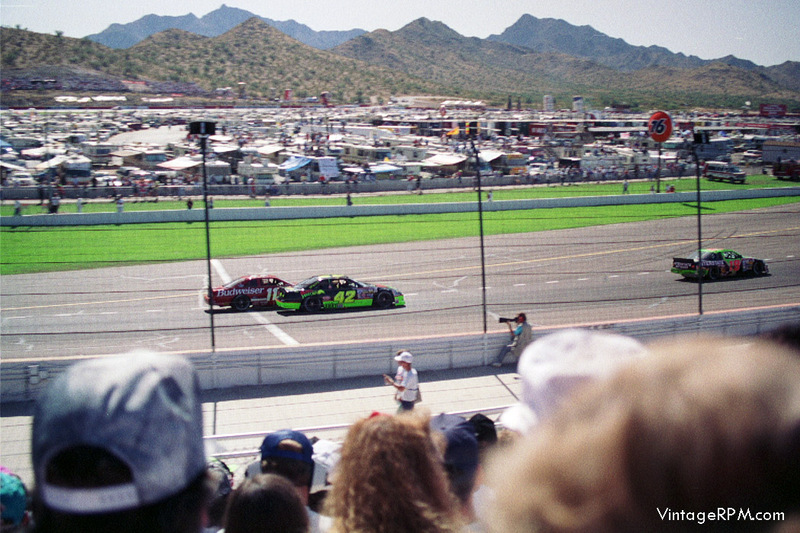 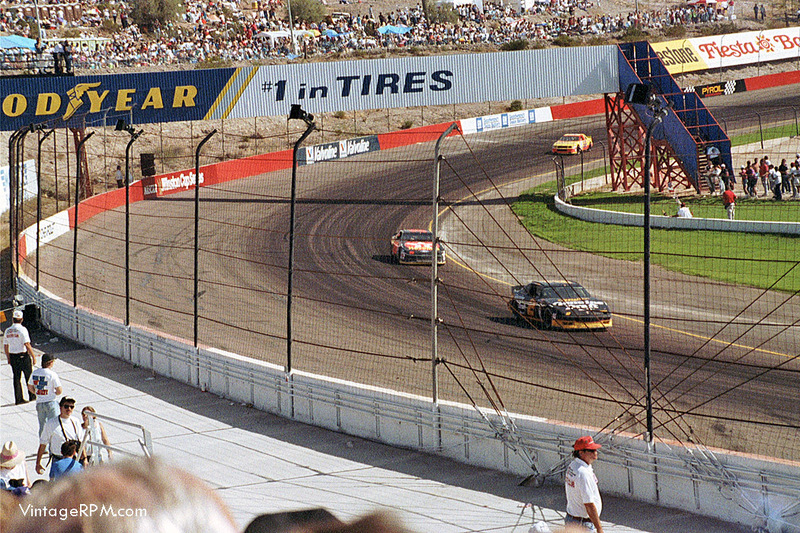 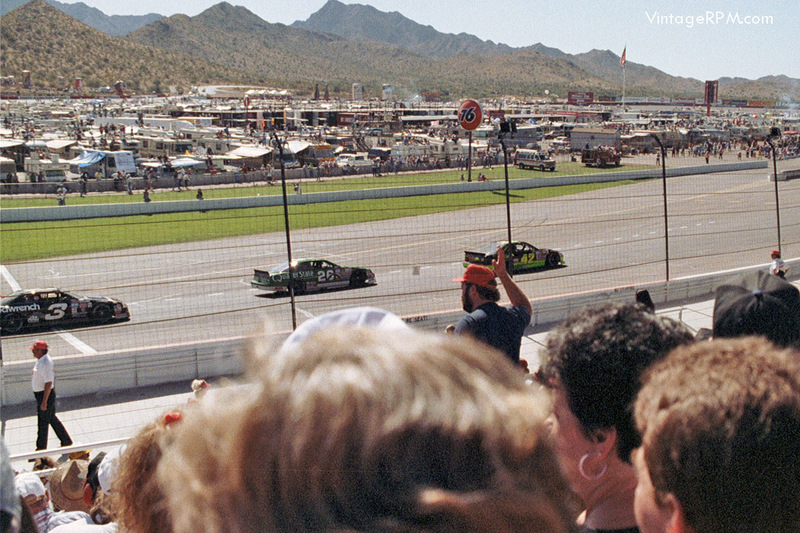 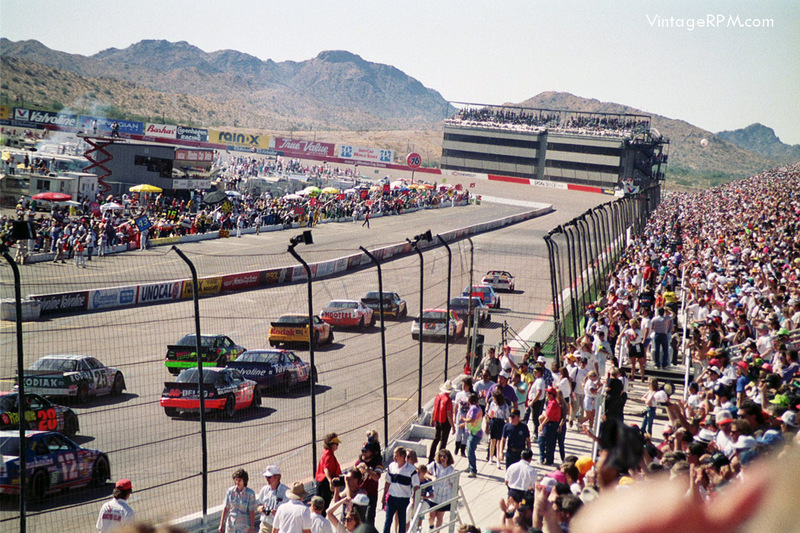 On November 1, 1992, NASCAR held the Pyroil 500 (kilometers) race for Winston Cup cars at Phoenix International Raceway in Phoenix, Arizona. 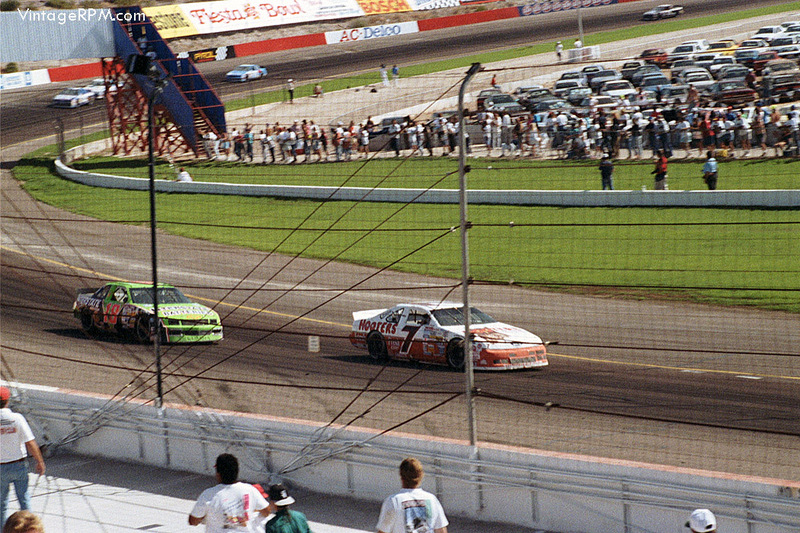 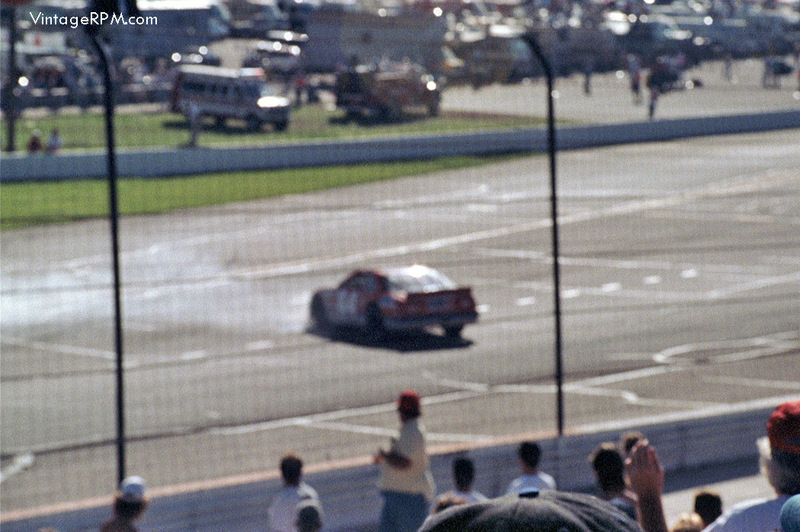 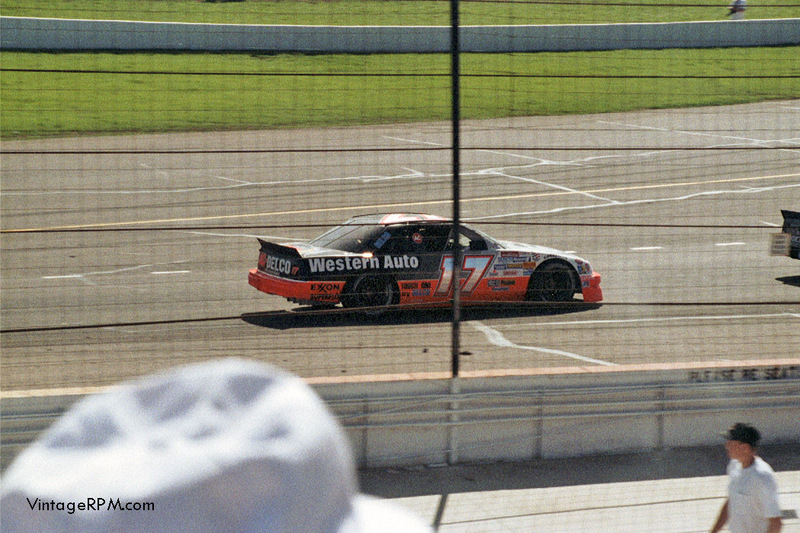 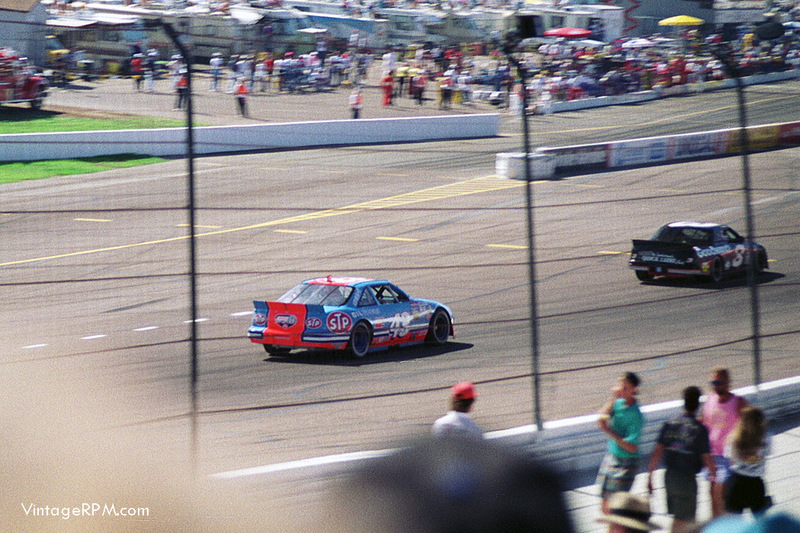 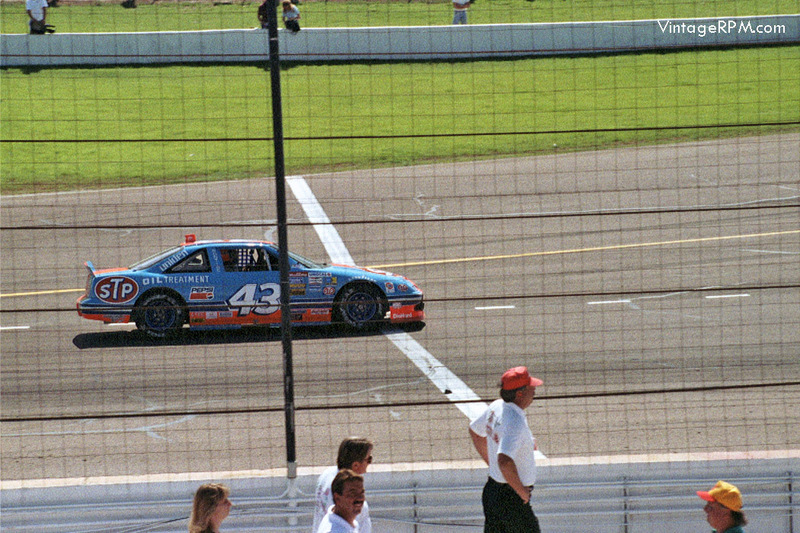 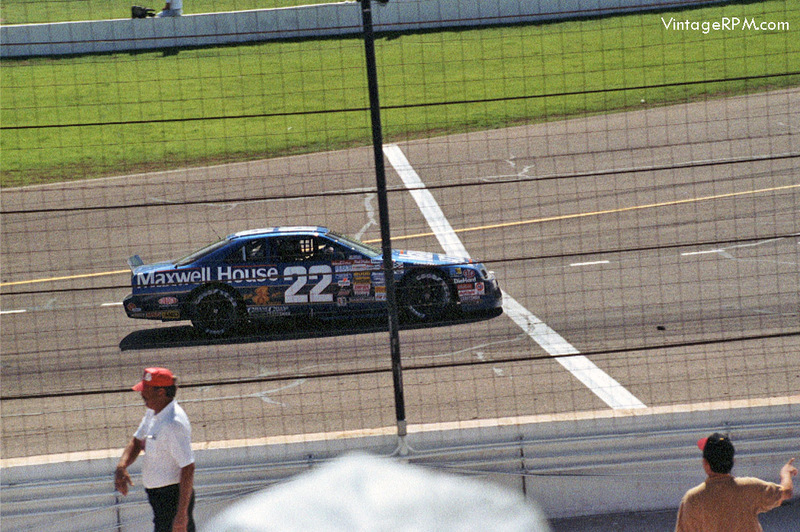 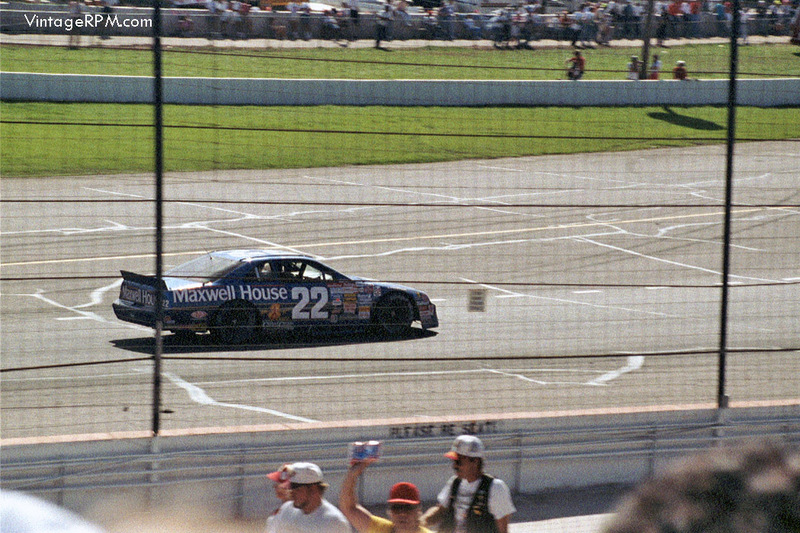 Rusty Wallace started on pole in his Penske Racing Miller Genuine Draft Pontiac Grand Prix, but the race was won by Davey Allison in the Robert Yates Racing Texaco Ford Thunderbird. 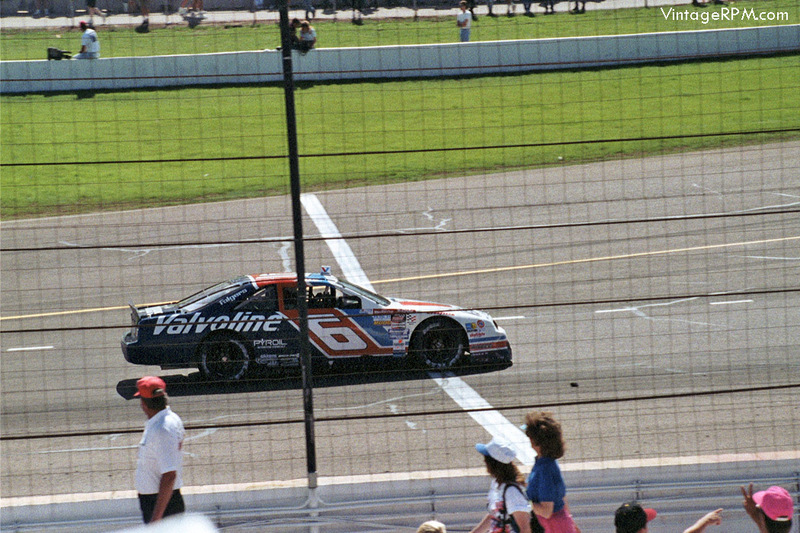 Second was Mark Martin (Roush Racing Ford Thunderbird) and third went to Darrell Waltrip ( Darrell Waltrip Racing Chevrolet Lumina). 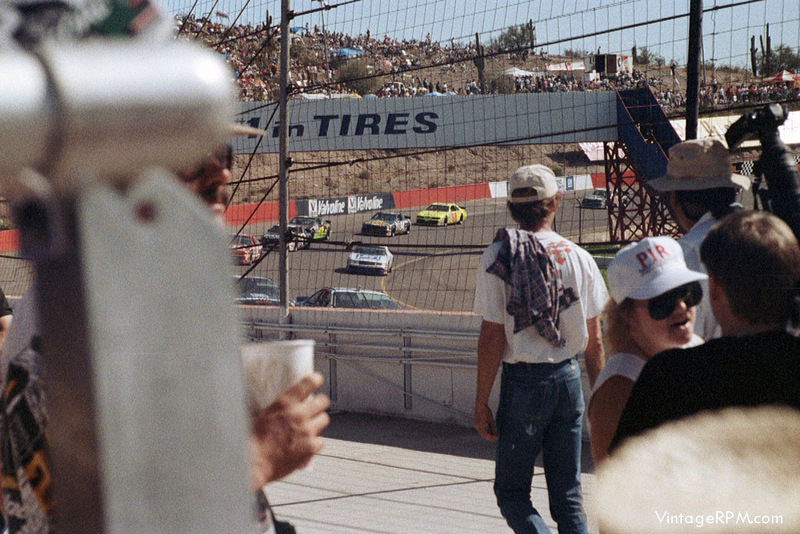 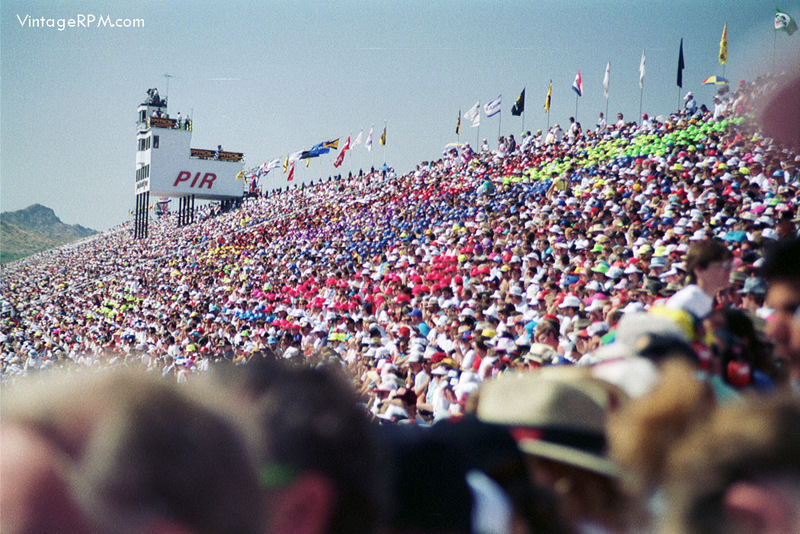 This was the first major auto race I had attended in 20 years. 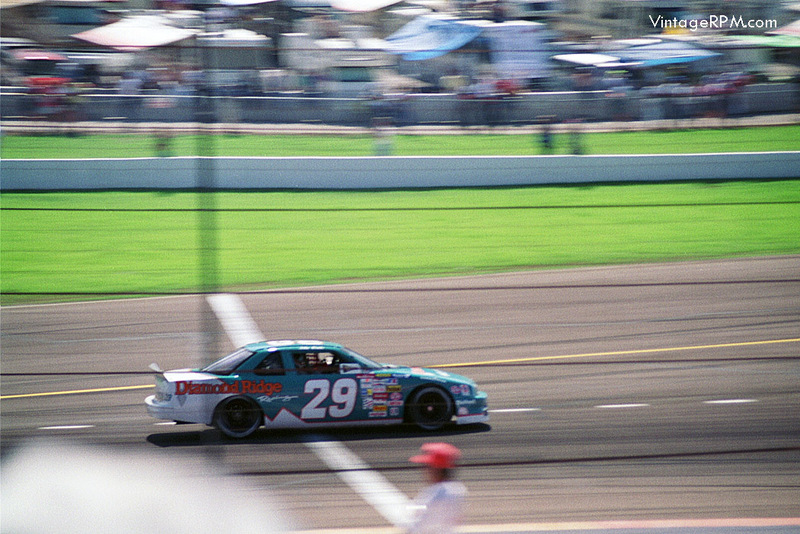 First one I ever shot with a 35mm SLR. 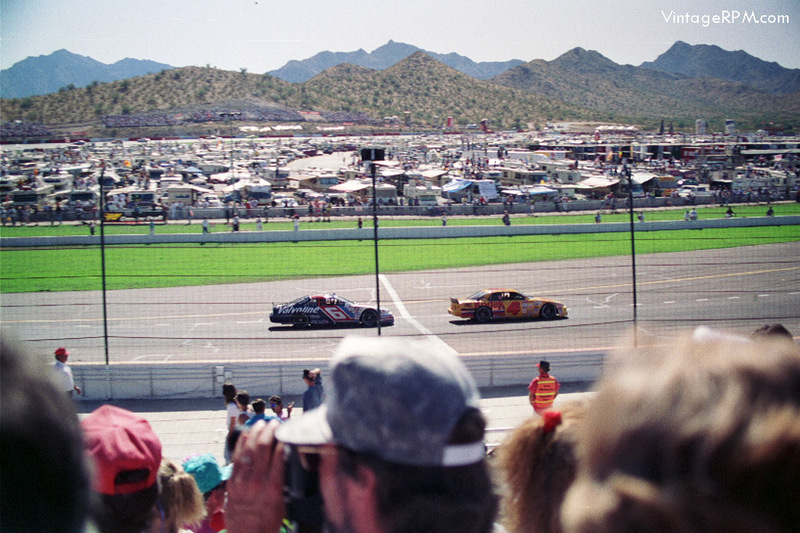 Not the best photos, but a nice trip down memory lane.